Written by Colleen Sedgwick on November 24, 2015 . Posted in Newbies. After almost 15 years in the pet sitting industry, I’ve compiled a list of what I consider to be the 10 must know tips for pet sitters. The quickest path to cash is clients, so when you’re first starting out it’s going to be YOU doing all of the pet sitting, dog walking and house sitting. This means your mornings, afternoons, evenings and nights are going to be booked. This hectic schedule can wear on even the most devoted pet lover, so be sure that you truly love this profession before you jump in. Love for pets is not enough to grow a successful pet sitting business. A lot more goes into it. I didn’t understand this when I started Pet Nanny-Pet Sitters of The Main Line in 2001. I didn’t understand business, marketing or management. This lack of knowledge and understanding caused me to run around ragged, making a very moderate income for many years. TIP: Love the pets, but love the business too. Invest in a basic business course so that you can start with a solid foundation. Mindset is everything in business. You have to believe that you can do it and have unwavering faith that success will happen to you. Early on in my career, I got very down on myself and started to second guess many of my decisions, which resulted in a downward spiral and almost ended my career in the pet sitting industry. I lost faith in myself, which is the worst possible thing that could happen. It wasn’t until my mentor introduced me to the power of mindset that I witnessed an enormous shift in my business and my life. TIP: Commit to your vision of your company and your life and act with unwavering faith. RESOURCE: The Big Leap by Gay Hendricks. One thing I learned about myself when I started my pet sitting business is that I am an amazing problem solver. It’s most definitely one of my gifts and thank goodness for that because I’ve had some doozies of problems to deal with over the years. Problems happen all of the time in this industry. When a problem arises, you need to be able to logically analyze the problem and then QUICKLY take action to solve it. Those who are profoundly affected by problems and are unable to act swiftly should think twice before becoming a pet sitter. TIP: The best advice for becoming a great problem solver is to put yourself in the shoes of your customers and your staff. If you were in their situation, how would you like for it to be handled? How would you like to be treated? And always go above and beyond to make an unhappy customer happy again. Mistakes in business are inevitable. The key is to learn from them and not to make them again. How may times did I know in my gut that a pet sitter on my staff was not a good fit for my business, but I ignored the feeling for fear of upsetting a client about a switch in sitters? Countless times and it ALWAYS came back to bite me. The lesson here is, I wasn’t learning! Perhaps you made a hiring mistake. Take action and remove that person as soon as possible, because the damage they can do in the long run far outweighs the benefit of keeping them on staff. TIP: This advice applies to all mistakes. Quickly learn from your mistakes so you can grow as a business owner and as an overall person. RESOURCE: Here is my earlier post on How to Turn Mistakes Into Success. We are in the pet sitting industry, but we are also in the customer service industry. We need to WOW our customers so that they use us time and time again and refer us all over town. When I first started, I had a 1-page website. My prospects were lucky if they heard back from me within 24 hours. I didn’t have an onboarding experience or process. I had generic forms I bought from PSI. I would do the pet sitting and never solicit feedback. Eeeeeeek! I really don’t like thinking about those days. The goal of your onboarding experience is to make your new customers experience truly exceptional so that they become raving fans of your business. TIP: Design a customer experience starting with your website, moving to the first phone call, to their onboarding experience, to the actual service and then with your follow-up. How can you really WOW your customers? RESOURCE: Here is the video blog and article on Stay in Touch Marketing. This strategy will create loyal and repeat buyers. #6. Analyze Your Competition and then BE DIFFERENT! Technology can save and protect sensitive information and data. Technology will make your business visible and help you compete. Technology can create automated marketing processes, so you’re bringing in new clients while you sleep. Technology allows for you to work remotely. Technology allows for you to provide real-time customer service. Technology enables you to collaborate with team members using video. Technology makes possible for you to stay connected with prospects, mobile consumers, and customers. Technology can speed up and streamline your payroll and taxes.Technology will increase your productivity. TIP: In the end, technology makes it easier for customers to do business with you. Don’t let fear of the unknown or fear of losing “real-touch” with your customers, stop you from using technology because it will actually allow for you to expand on your relationships with them. As small business owners, we’re always looking for ways to cut costs, but I would think again before deciding to do your books on your own. Hire a small business accountant and be completely present with what is going on financially with your pet sitting business. I turned a blind eye to the money portion of my company for entirely too long, and I paid the price. I wasn’t prepared at tax time. I was audited. I had no clue how much profit I was making. I had no idea how I should be managing or saving my money. As soon as I hired an accountant and bookkeeper/payroll company, my business changed drastically for the better. TIP: Here is an article on 21 Ways an Accountant Can Help a Small Business Owner. I suggest you read it and seriously consider hiring a reputable accountant. RESOURCE: Profit First: A Simple System to Transform Any Business from a Cash-Eating Monster to a Money-Making Machine by Mike Michalowicz. Hiring is scary. I get it. 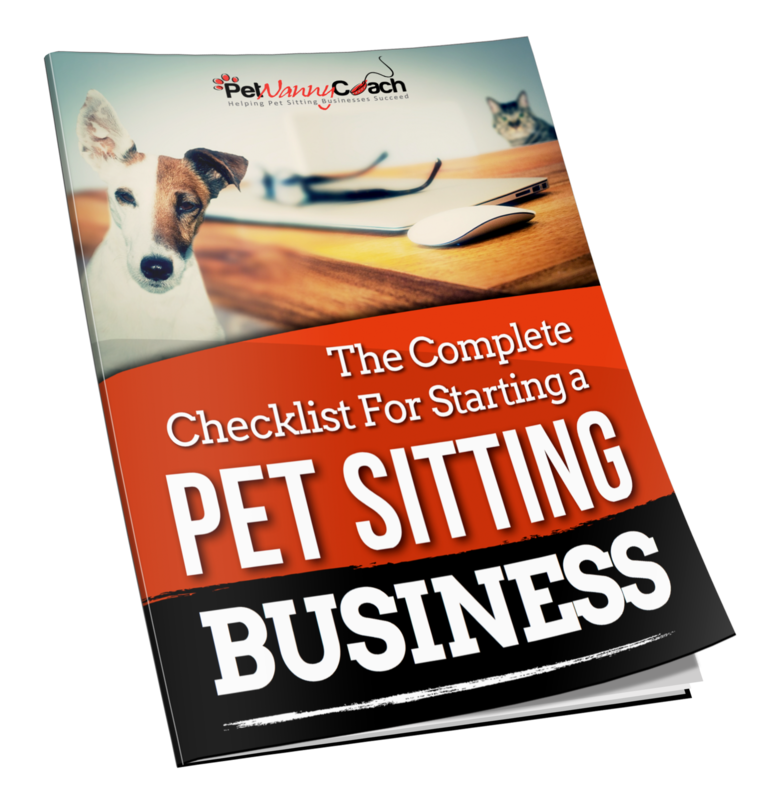 I was petrified to make my first hire, but it was something I had to do if I wanted to grow my pet sitting business. Hiring is another piece of the pet sitting success puzzle that I waited entirely too long to implement in my business. There are only so many pet sitting visits one person can make in a single day. As a single person operation, you have put a ceiling on what is possible for your income. When you expand your team, you can service many more clients, and you can then focus on marketing and systematizing your business, all of which will equal BIG growth in your business. TIP: Embrace the fear and do it! RESOURCE: Here is an informative video and article on when you should hire your first pet sitter. If you’ve heard me say it once, you’ve heard me say it a thousand times… You don’t have to reinvent the wheel. Seek out guidance from others who have the results in their business that you wish to have with your own business. A mentor can be a professional business coach or someone who may not do it professionally but has had great success with their business. I waited way too long to invest in a coach. 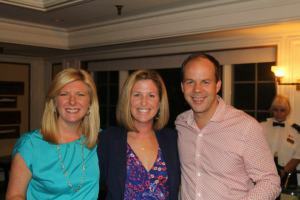 My mentors have changed not only my business for the better but my entire life. TIP: When you start your search for a mentor, look for someone that you connect with and who speaks your language. I’ve had incredible experiences with my mentors, but I once made a very poor decision and hired an absolute JERK! I won’t bore you with the details of that story. The point of me telling you is that I knew in my gut that the guy was a slimy, know-it-all, but I allowed him to manipulate me. Listen to yourself! It will never steer you the wrong way.